The WESG 2018 – Oceania Qualifier came to an end a few days back with Chiefs qualifying through the WESG 2018 – Oceania CS:GO Qualifier followed by Team Aussie who won the WESG 2018 – Oceania Dota 2 Qualifier. The finals of the Oceania Qualifier were hosted as a LAN event as a part of the Supanova Expo in Adelaide, Australia. Both the winning teams will be travelling to Chongqing, China for the WESG 2018 – World Finals. Coming through the Online – Group Stage Qualifier, both Chiefs and ORDER were paired in the same group where Chiefs finished on top of the points table followed by ORDER. 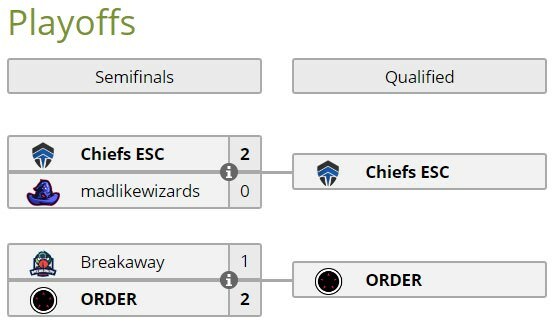 In the Playoffs, Chiefs breezed past Madlikewizards but ORDER faced a little trouble against Breakaway managing their way through. The finals witnessed Chiefs beating ORDER on Train with a score of ‘16-14’ followed by another loss for ORDER on Nuke by a score of ‘16-11’. ORDER gave a tough fight in both the matches but Chiefs were executing some top-class plays along with some incredibly confident rushes. Chiefs mixed up their plays really well going all guns blazing to slow as a snail in the blink of an eye. Winning by a series score of ‘2-0’, Chiefs become the Oceania representative at the WESG 2018 – World Finals. Natural 9 went up against Team Aussie in the Finals for a chance to represent the region at the World Finals. The first match was won by Team Aussie who played a core TB and was successful enough in controlling the early game which in turn gave a lot of time for TB to farm. The mid lane observed a massive difference in skill which led to Lina destroying the Storm Spirit with constant rotations from both Nyx and CM. The TB was really farmed by the 30 min mark which led to two failed team fights converting into a loss. The second match was also won by Team Aussie this time concentrating on a lot of team fight centric heroes. Aggressive right from the start, Axe and Earthshaker were both ready with their blinks quite early and with a sunstrike at the ready, they were picking off heroes all over the map. Pushing the high ground at the 30-minute mark the ‘GG’ was called by Natural 9 soon after. Taking the series ‘2-0’, Team Aussie qualified for the WESG 2018 – World Finals to represent the whole of Oceania Region.